McLaughlin & Buie Housewrights is a full service Design/Build Contractor. We specialize in additions and renovations to older houses. We offer the creativity, communication tools and craftsmanship to make the construction process an enjoyable experience that will address our clients' needs and add lasting value to their homes. We advocate the use of quality materials, and seek out employees and subcontractors who understand that craftsmanship and pride in a job well done are not a thing of the past. The quality and craftsmanship of our work will stand the test of time. We believe offering both design and construction services is a great way for our company to help our clients with their addition, renovation and new home projects. 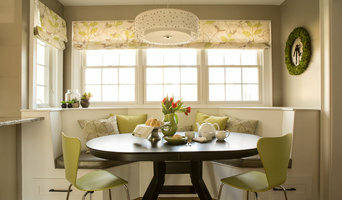 Attleboro Kitchen and Bath is a full-service kitchen and bath design and remodeling team. Come visit our boutique located in the heart of Downtown Attleboro to discover our many quality products including cabinetry, countertop materials, NEW flooring, tile and more! Visit www.attleborokitchenandbath.com for a complete list of our brands and services, including renovation loans and same-as-cash payment options! *Authorized Medallion Cabinetry Dealer* Duncan Kitchen & Bath is a family owned & operated kitchen & bath dealer since 1991. 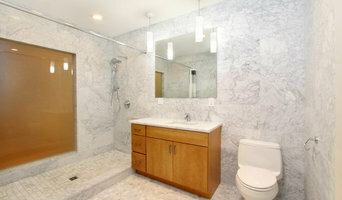 We specialize in complete kitchen & bath remodeling. At Duncan Kitchen & Bath, we realize your new or remodeling project is a substantial investment. Whether you're building from blueprints or remodeling, your project will receive the individual attention it deserves to skillfully blend the elements of style, function and affordability with quality materials and personalized detailing. Our expertise begins in the kitchen and continues through the master bath, entertainment center and into your home office. Our experienced kitchen and bath designers will work with you from concept to completion. Whether you are a DIY looking for cabinets only or need someone to complete a full kitchen or bath renovation, we can help! We have chosen great products & partners to work with to ensure that your kitchen or bath remodel runs as smooth as possible. Visit us soon at our showroom located at 239 Liberty St., Hanson, Ma. *Authorized Waypoint Living Spaces Dealer* We are a family owned residential design and build company servicing all of Rhode Island. We specialize in Full kitchen and bathroom remodels from concept to completion. We provide very personalized service and our team works closely together to ensure your project will be completed on time and on budget. 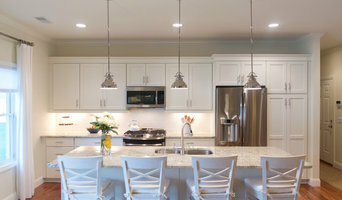 We depend on our reputation, so everyone from our in-house certified kitchen designers to our licensed and insured installation and construction crews make client satisfaction a top priority. Designers work closely with the project managers throughout the process all the way to completion so the many details are handled accurately. We don't subcontract our carpentry and construction work-they are all employed by us so we maintain consistent quality. 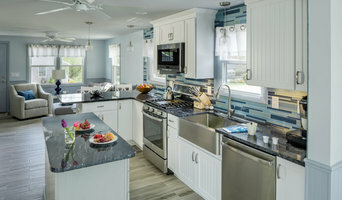 We provide: Kitchen remodeling Bathroom remodeling Whole house renovations Call Northeast Kitchen and Flooring Center when you'd like to leave your project in the care of experienced, caring professionals! What does a Narragansett Pier kitchen and bath remodeling expert do? Licensed Rhode Island kitchen and bath remodelers are contractors who specialize in altering the structure of an existing space, rather than building one from the ground up. Because he or she must deal with a previous builder’s work, the job can get more complicated than new construction. You might wonder why they often specialize in both kitchens and bathrooms, but if you think about those two spaces, they actually have a lot in common. Kitchens and bathrooms include an abundance of fixtures that require careful planning and installation, including sinks, faucets, tubs and toilets that all need water hookups and drainage. They also use similar materials, such as tile and stone for countertops and flooring, due to the nature of their use. So it makes sense that Narragansett Pier kitchen remodelers and bathroom remodelers be one in the same. A bathroom or kitchen remodeler translates architectural plans from page to reality; some are also trained to provide design services so that you don’t have to hire a separate pro. Like a general contractor, a kitchen and bathroom remodeler in Narragansett Pier, RI is responsible for hiring and supervising subcontractors and providing materials when necessary. They also should have a thorough knowledge of Rhode Island building codes and construction-related legal issues, as well as current design and product trends. Here are some related professionals and vendors to complement the work of kitchen & bath remodelers: Woodworkers & Carpenters, Kitchen & Bath Designers, Interior Designers & Decorators, Architects & Building Designers, General Contractors. Find a Narragansett Pier kitchen and bathroom renovator on Houzz. Narrow your search in the Professionals section of the website to kitchen and bathroom remodelers in Narragansett Pier, RI. You may also look through photos of Narragansett Pier, RI spaces to find kitchens or bathrooms you like, then contact the bathroom or kitchen remodeler who worked on it.